Edgar Allan Poe originally wrote The Tell-Tale Heart in 1843 for The Pioneer magazine and it is generally considered to be one of his best short stories. It has had countless radio, television and film adaptations over the years, dating back to a silent version in 1928. Many have been faithful to the story while others have strayed quite a bit. One of the more common seen versions today is the 1941 adaptation from MGM while another, released in 1953, has only recently been rediscovered. How fitting that these two short films, released only 12 years apart, are indeed vastly different interpretations of a chilling story from the master of the macabre. In 1941, MGM released their two-reel short subject directed by Jules Dassin and starring Joseph Schildkraut in the lead role as the Young Man. Jules Dassin was a legendary director known for his noir film The Naked City (1948), as well as The Canterville Ghost (1944), Rififi (1955) and Topkapi (1964). However, in 1941, The Tell-Tale Heart was his film debut and he entered the sound stage boldly influenced by those filmmakers that came before him. Dassin died in 2008 and, in a Time article looking back at his career, film critic Richard Corliss described The Tell-Tale Heart as “possibly the first film to be influenced by Citizen Kane” due to the artistic style in lighting, camera work and sound effects. Writer Doane R. Hoag greatly alters the original tale by making the Old Man a villainous and sadistic individual who has been mentally and physically abusing the Young Man for years. Roman Bohnen (Of Mice and Men, Brute Force) turns in a fine performance as the Old Man, complete with a foggy left eye, adding to his evil visage. 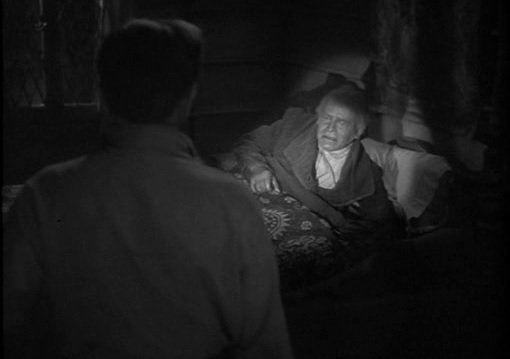 Joseph Schildkraut had earned an Oscar for his performance in The Life of Emile Zola (1937), so I’m sure audiences of the day were pleasantly surprised to see him in a small role here. Thankfully, the reduced running time does not deter from his performance as a man driven to the brink of insanity. His deliverance, through his eyes and frantic voice, is absolutely stunning as he commits murder and then struggles to keep it hidden when the authorities come knocking on the door. In 1953, James Mason narrated an animated version of The Tell-Tale Heartthat is quite well-known. But did you know there was also a British two-reeler from Adelphi Films? Chances are very few of you are even aware of this version and fewer still that have actually seen it. That’s because it was lost for many years before being rediscovered. Jeff Wells purchased a 16mm copy at a junk shop in the UK in 1984. However, he didn’t realize it was missing until October 2018, at which time it became briefly available online through the British Film Institute. This version is a more faithful adaptation of the original story but with a twist. 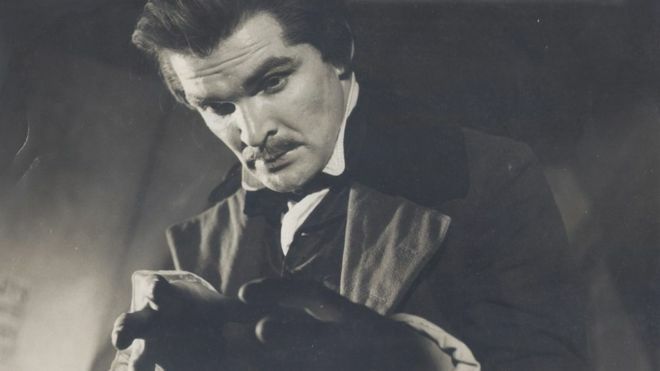 Rather than have the story told by an unknown narrator, Stanley Baker (The Guns of Navarone, Zulu) appears as Edgar Allan Poe and essentially recites the tale to the audience, even breaking the fourth wall early on in the presentation. Screenplay writer and director J. 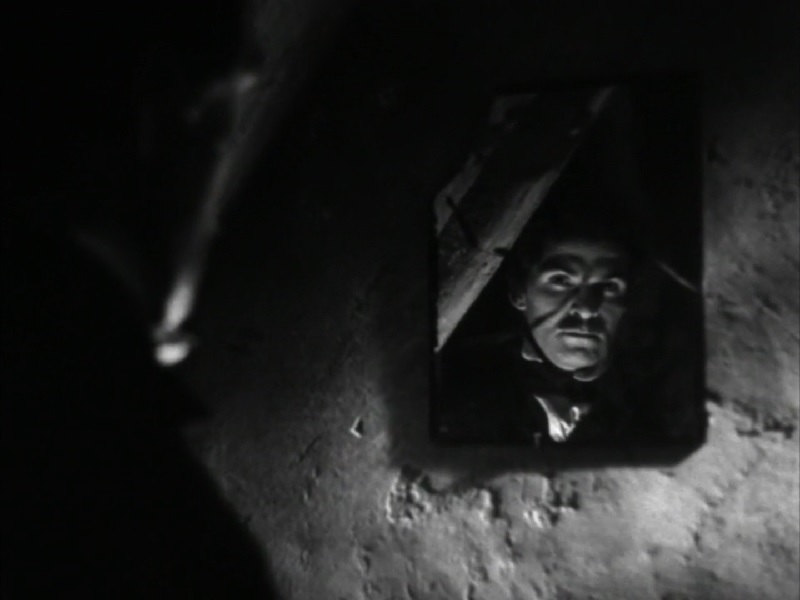 B. Williams makes several interesting production choices, such as having Baker look into a mirror at one point with the camera positioned behind him at an angle. 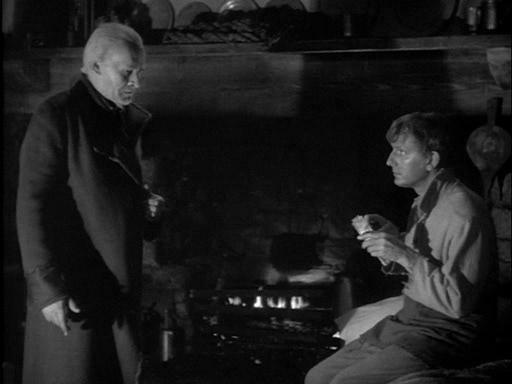 Baker comes across as a more traditional British actor and the overall production is very reminiscent of a stage play. It may not be the definitive version of Poe’s classic but the visual images here are amazing and anytime a lost film can be found and available once again, we all must take a moment to be thankful for the return of a small piece of celluloid history. This was only Williams’ third film as a director and, sadly, it would be his last. In fact, he only had three more television writing credits in the following eight years before his death in 1961. Thankfully, with the rediscovery of this lost classic, perhaps he’ll receive some more recognition for his work. The 1941 version was originally released as an extra on The Complete Thin Man Collection DVD set, now out-of-print. Fortunately, it is usually aired every Halloween season on Turner Classic Movies and is also currently available on YouTube. Unfortunately, the British 1953 version is not currently available online or on home media, so you’ll need to do some footwork to track down a copy. However, the journey will be well worth your time and effort. 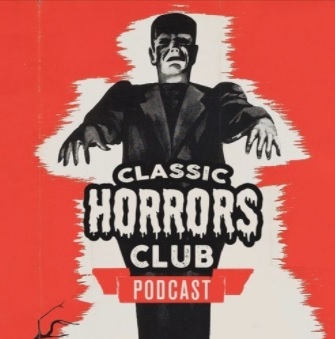 This month on episode 27 of the Classic Horrors Club Podcast, Jeff Owens and I celebrate the career of Lon Chaney Jr. by looking at three of his movies. 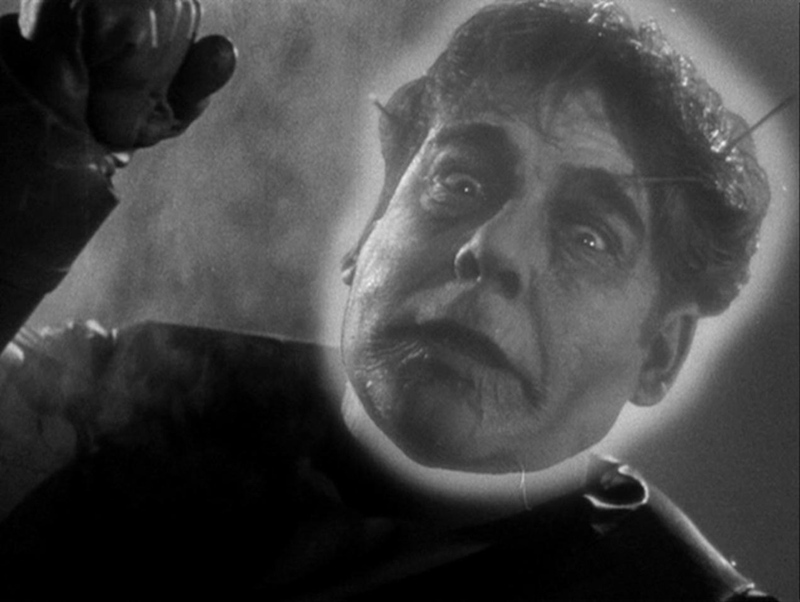 First up, we have Man Made Monster (1941), his first true horror movie at Universal. Then, we fast forward to 1959 for The Alligator People before wrapping things up with Spider baby (1967)! The Kansas City Crypt is open again for episode 52 of the Mihmiverse Monthly Audiocast. 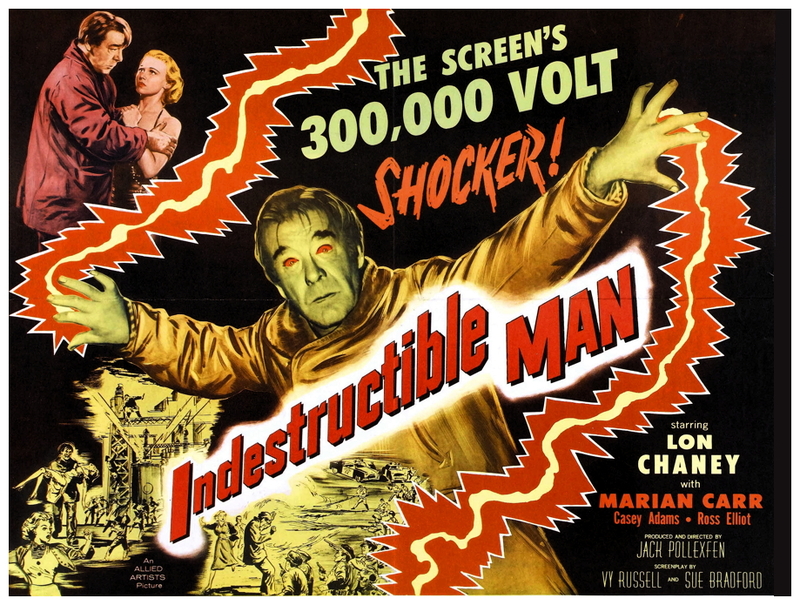 This month, the Monster Movie Kid celebrates the life and career of Lon Chaney Jr. with a look at The Indestructible Man (1956)! Be sure to check out the online home of the films of Christopher R. Mihm for all of the great merchandise and information on how you can help make future films happen! Queen of Snakes is ready for it’s world premiere in late April while That Which Lurks in the Dark is on the horizon. Check out the website to learn how you can contribute to the making of both upcoming chapters in the Mihmiverse. As always, tell ’em Monster Movie Kid sent you!